Confirmation bias seems to be stopping President Moon Jae-in from ending his reliance on his perspective and beliefs in favor of evidence and facts. The bias is a psychological term denoting a tendency to cherry-pick information that confirms one’s preconceived ideas, while finding fault with evidence that goes against them. It prevents people from considering other important information when making decisions. Moon said in his New Year’s press conference on Jan. 10 that employment indexes fell short of expectations and that his government regards the economic situation very gravely. And yet he vowed not to change his policy direction. People may have been eager to hear him answer that question. Many have been hit hard by the effects of a steep minimum wage hike, a crucial part of his signature “income-led growth policy.” Ironically, the controversial policy hit the low-income class and small businesses hardest, and further widened the income gap. Moon effectively rebuffed the uncomfortable question, replying curtly it did not need further explanations than what he had already given in the address he made just before the question and answer session. Though he refused to explain why he was confident, his self-assurance could be clearly felt. His disregard of opposing views is not restricted to the minimum wage. Recently he vowed to increase communication with businesses and held a meeting with tycoons and leaders of economic groups, but when asked to review his nuclear phase-out policy that has been blamed for crumbling the related industry, he rejected the request resolutely. His confidence seemed to cross the line into conceit when he asserted that authorities have not disappointed the people greatly since he took power. People would not be so curious why he is confident in his policies at least if they were well founded and valid. Moon also said Korea is economically the most unequal in the world. This is not true. More than 120 countries are more unequal than Korea in terms of the Gini coefficient, according to the UN Human Development Report 2018. The index is the most commonly used measurement of a nation’s income or wealth inequality. Korea’s Gini index was 31.6, the 30th-lowest on the list and much lower than the US (41.5). A smaller index means less inequality. The fact that the president gave fake information in a nationally televised speech invites suspicion that Moon may have just followed the script, not aware what he was saying was incorrect. This is nothing to sneeze at. Cheong Wa Dae is the command center of all policies. Fake data should have no place there. Late last year, Moon assailed news media for having a strong tendency to frame his government’s economic measures in terms of failure. He believes nothing is wrong with his policy stance. Moon and his aides turn away from a gloomy reality and see only the rosy landscape they want to see. Even when jobs were disappearing after the minimum wage hike, Moon cited surreal data that claimed its effect was 90 percent positive. Later he even appointed the researcher who drew up the data as commissioner of Statistics Korea. All this raises suspicions of information being massaged to Moon’s confirmation bias. Sometimes assertions are useful for politicians. They can attract attention or even draw applause from supporters. Assertive remarks can spread messages clearly and quickly. But generally, confirmation bias is more harmful than beneficial. New information is rejected unconditionally, even when studying it may help or correct distorted assumptions. Bias often leads to self-fulfilling prophecies, and blocks the search for informed and valid solutions. Though exacting, a leader must strive to reduce his or her confirmation bias. To do so, he must accept the possibility that he is biased and wrong. He must gather data that defend the opposite view, evaluate it fairly and either adopt or reject it depending on this evaluation. Confirmation bias is strengthened by like-minded people, so collective bias is more dangerous. This is why a leader must avoid surrounding himself only with people who agree with him. British author Aldous Huxley wrote in an essay, “Facts do not cease to exist because they are ignored.” Only a man who listens to what he does not want to hear can be a wise leader. 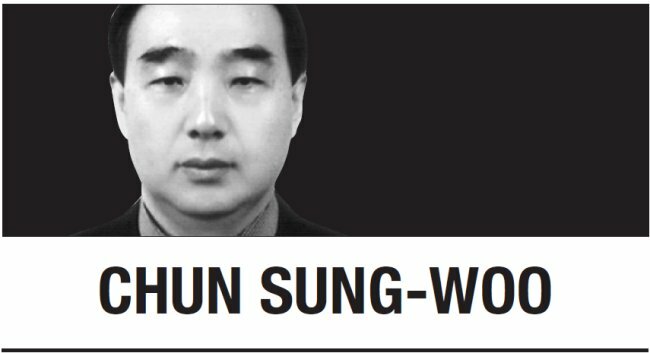 Chun Sung-woo is an editorial writer at The Korea Herald. -- Ed.